Peaceful place in the center of busy street of Bangkok, just couples minutes away from Nana BTS station. CheQinn provides you a comfortable sleeping space. You can rest and get totally freshened up after the tight sleep at CheQinn. 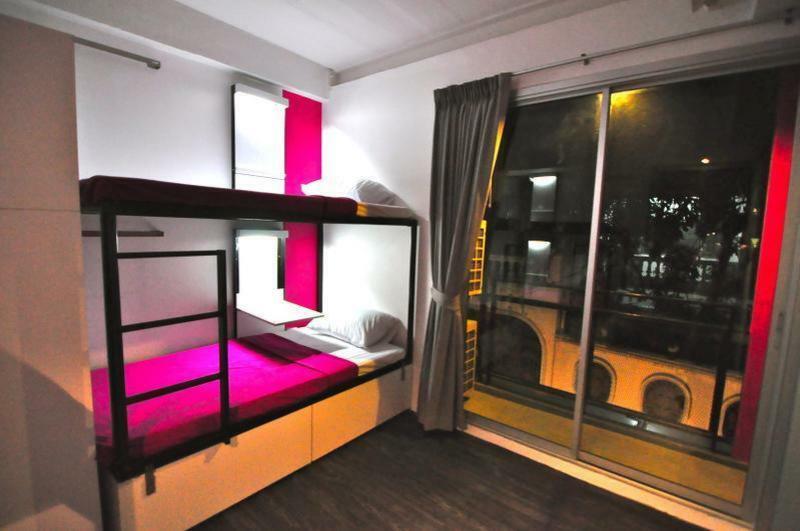 CheQinn is not just a hostel where you will have a good tight sleep. We also create friendship between you, new friends, and us! What else we can do to give you very special moment in CheQinn in Bangkok? Activities! We will bring you out and spend time together. We can provide you in-house activities. You will never forget the joy we share! CheQinn want to change the image of ordinary hostel and bring the top service and quality for you. CheQinn is located in Sukhumvit 4. When you arrive Sukhumvit 4, go in straight for 200 meters and look for 7-Eleven on the right. CheQinn is located in the small street opposite the 7-Eleven. You may look for the sign 'Da Bed' and turn left into the small street. Alternative route if you are you coming by BTS Nana station: you can go in via Sukhumvit 6. Walk to the end and turn right to get to Sukhumvit 4. Then turn right again. Walk straight and look for 7-Eleven on the left, CheQinn is located in the small street opposite that 7-Eleven.